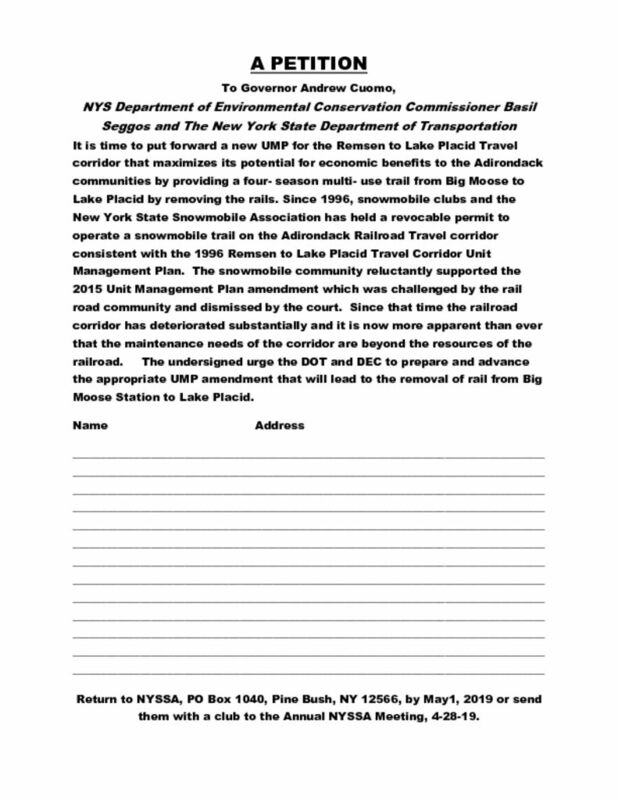 In 2015, the NYS Department of Environmental Conservation, along with the NYS Department of Transportation put together an amendment to the 1996 Remsen to Lake Placid Travel Corridor UMP. That plan was a compromise that would have removed the rail from Tupper Lake to Lake Placid allowing for expanded use of the corridor for four season recreation including snowmobiling. While we reluctantly accepted the compromise, the Scenic Rail Road challenged the plan in court and it was subsequently dismissed by the court for specific problems. Those problems have now been addressed and it is now time for the State to bring forth a new plan for the corridor. 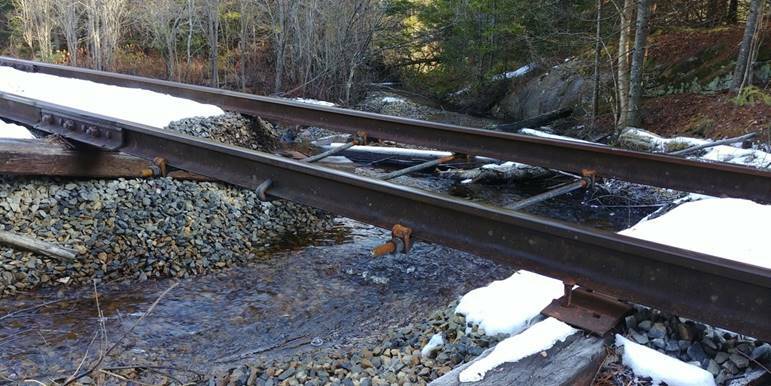 The rails from Tupper Lake to Big Moose have deteriorated significantly since 2015 and the RR has demonstrated that they are incapable of maintaining the rail. Hundreds of snowmobilers, the effected clubs and NYSSA all believe it is time for most of the rail to go and for the state to stop pouring money down a rail that carries no commerce and will only prove to be a burden into the future. Would you care to ride a train on this rail? At the February NYSSA Board of Directors meeting the Board adopted a resolution which made NYSSA’s position clear. The rails need to go from Big Moose to Lake Placid and provide a four season recreational resource to the Adirondack community that can contribute to the economic well being of all the areas the multi use trail would pass through. Join with your fellow snowmobilers and download the attached petition, sign it and offer it to other snowmobilers to sign. Send the signed petitions to the NYSSA Office, PO Box 1040, Pine Bush, NY 12566 and we’ll be sure public officials see what kind of support there is for a four season multi use trail.